Free Practice 1 + 2: In both free practice session all Kaufmann Drivers were always in the Top positions. In free practice 1 Daruvala was on P 1, Norris P 4 and Shwartzman on P 6. In free practice 2, Norris on P 2, Daruvala on P 3 and Shwartzman on P 7. Qualifying 1: In the first qualifying Norris was Group A and first on track. He drove the fastest time of his group for both races. Race 1: In the first race Norris had a good start putting pressure on the leader. 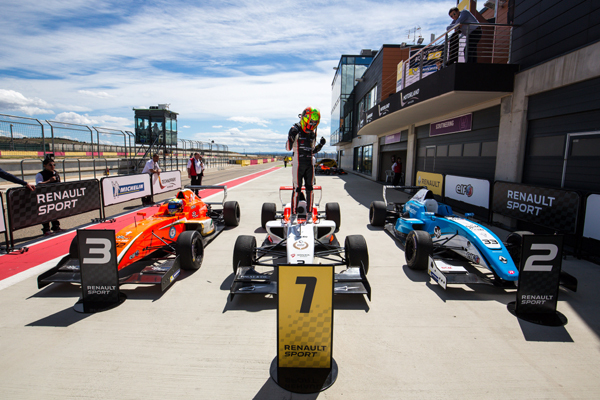 In the end he couldn´t find a way past and took a brilliant second place in his first ever Formula Renault race. 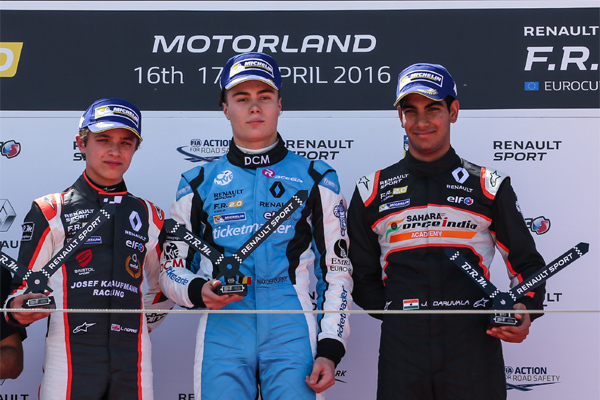 Daruvala had a strong race with some nice overtaking moves putting himself on P 3 and taking his first ever podium in Eurocup. Shwartzman as well drove a strong race and moved up the list to finish on P 5. Race 2: In the second race Norris had a brilliant start and took the lead into turn 1. After that he controlled the race and was never under pressure. 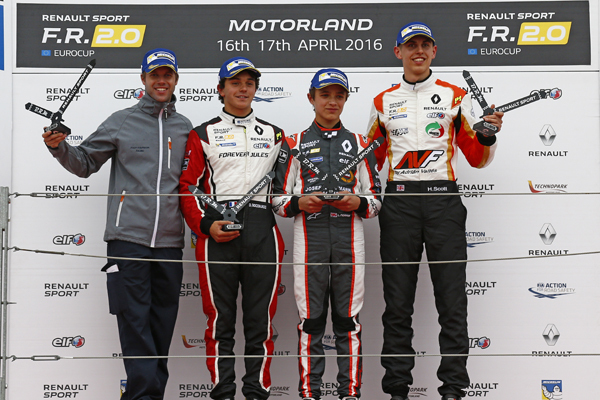 After 14 laps he took his maiden victory in Formula Renault Eurocup. Daruvala once more showed a strong race pace and moved up to P 5 in the end. Shwartzman also drove a good race but lost a few positions in the final lap to finish on P 8. Qualifying 2: The second qualifying it was first Daruvala and Shwartzman on the track. 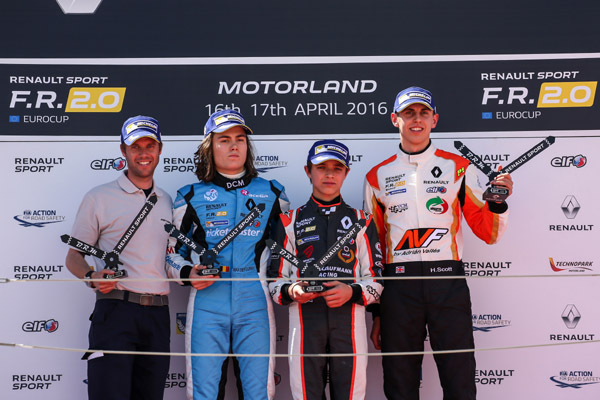 Shwartzman was on P 4 and Daruvala on P 6 in the group. Norris again in Group A drove a perfect Qualifying to put himself on P 1 in the group and as well on Pole Position for the race. Race 3: Norris had again a good start and was leading the race. Once again he drove a race without any mistakes taking another clean victory. 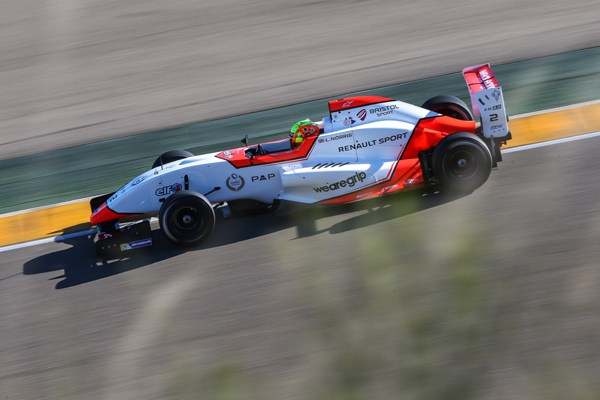 Shwartzman lost one position during the race to finish on P 9. Daruvala who was already up the order made a mistake and spun during the race to finish on P 13 in the end.